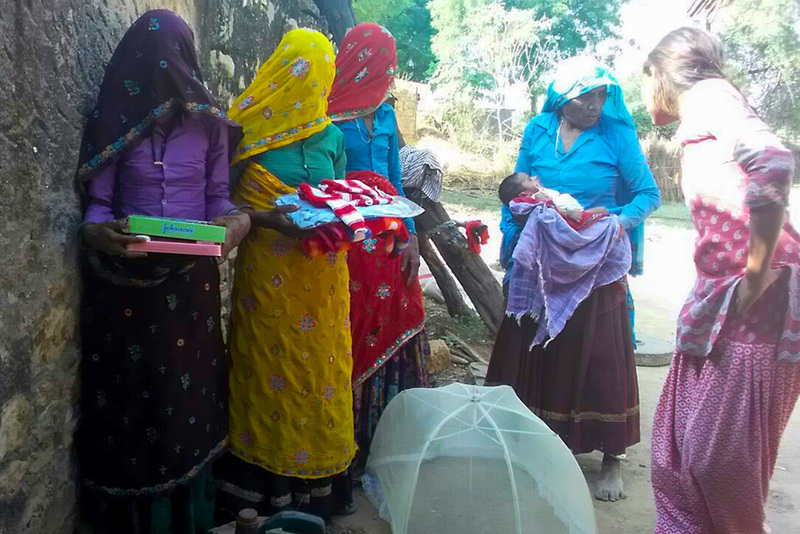 To ensure good health care for the new babies that are born in our villages, Amrita SeRVe continues giving newborn baby kits to all tiny tots within 1 month of their birth. The latest villages to initiate the program are Deurbal, Chhattisgarh; Harirampura, Rajasthan; and Guptapada, Odisha. Not only are the kits a source of great joy for the mothers, they also give them insight into how to take good care of the health of their babies. 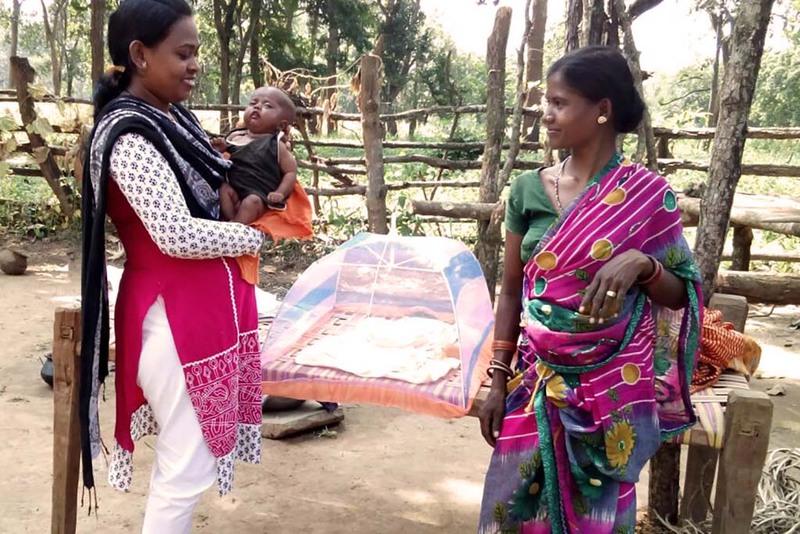 The kit includes a mosquito net for the baby in order to protect from bites. There is also Chyawanprash to provide nutrition for the lactating mother. Both of these things are important, but often ignored in newborn care in rural areas.